Make something that you like. You’ll feel more engaged with the project if it’s something you feel excited about it. Whether it’s an easy dress or an outfit for your children, if you are passionate about it, it makes the tough parts seem worth it. If you choose something you dislike and will never wear, then you won’t feel motivated to finish the project. Be kind to yourself and don’t throw yourself in at the deep end. If you’ve never made anything before then you’ll want to start slowly and build up. Beginning with an item that’s complicated could see you flailing and losing heart which is not the best way to start. Choose a simple project, perhaps a simple A-line skirt with zip or children’s clothes with not much shape needed. but they might not be the best for beginners. The guide might assume you already have certain knowledge or the instructions could be vague. 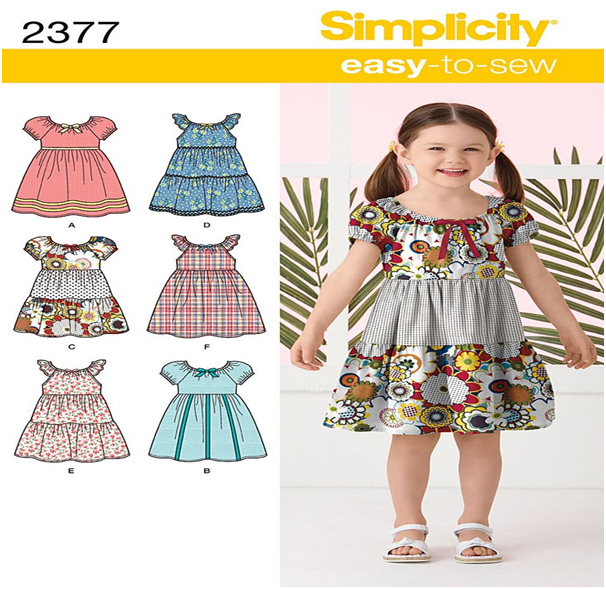 Choose a simple pattern from a reputable and established pattern-maker as they will contain detailed diagrams and full, clear instructions. Before you get all your equipment and fabric, make sure you have measured yourself accurately and thoroughly. It’s not safe to assume that shop sizes are equal to dressmaking sizing. Areas to measure include waist, hips and bust. Remember that a little extra is no big deal as it’s easier to adjust an item to a smaller size than it is to make it bigger! This is why many dressmakers make up their patterns in a cheap fabric first as a trial run. This garment is called a toile or muslin. That way you can make any adjustments needed without ruining an expensive piece of material and adjust the measurements on the pattern as well. If you want to make the item again, you can go by the amended pattern and whizz through which confidence that it fits. Must-have essential beginner dressmaking tools include: a basic but reliable sewing machine, different coloured thread, needles, tape measure, pins, fabric scissors, access to an ironing board and iron, a seam ripping tool, pattern-cutting scissors and dressmakers chalk for making marks on the fabric.